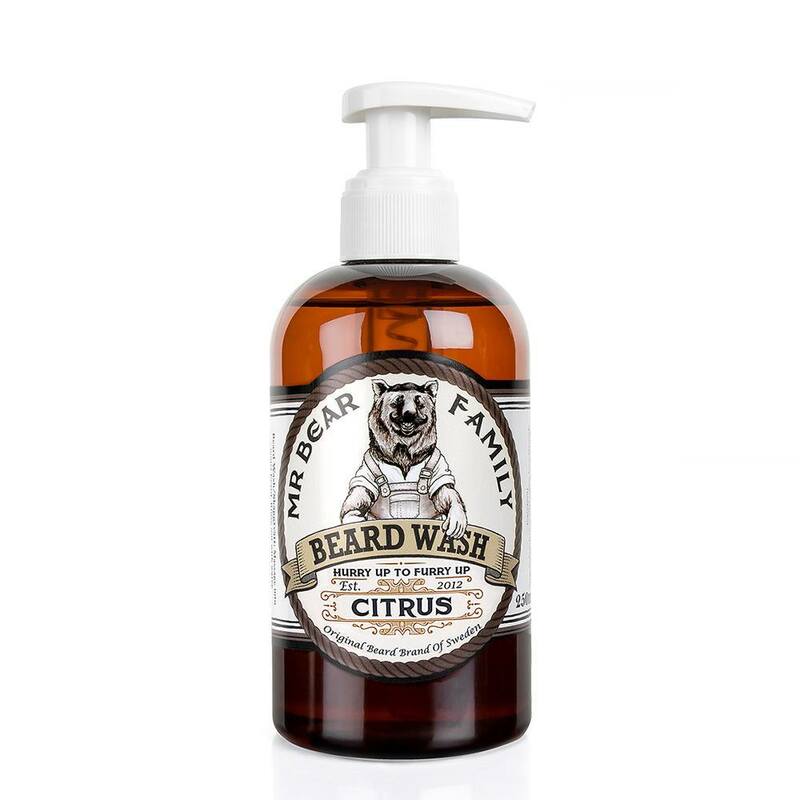 250ml bottle of Citrus scented beard wash with pump dispenser. A gentle beard wash that’s as natural as it gets. Soothing on irritated skin, moisturising and with anti-inflammatory properties, it gives your beard a fuller and more lush appearance. With a delightful scent of freshly picked citrus fruits. Combine the Beard Wash with Mr. Bear Family Beard Brews and Beard Balms and give your beard a shine of excellence.